The theatrical release poster for They Shall Not Grow Old shows the original footage and its reworked version. There is a line of Tommies wending their way through a trench, at the middle of which shuffles a uniformed boy not more than 15 or 16 years old. He is staring straight into the camera lens from beneath his helmet, the kind of thousand-yard stare that comes from living in sustained, sleep-deprived terror, hunger and filth. A collective gasp ripples through the audience attending a one-day showing of the film as the palette of brown mud, khaki combat kit and warm skin tones floods the screen and that face—that face—gazing right through each individual in the theatre, it seems, is suddenly doing so with unnerving life and presence. Jackson drew from 100 hours of Imperial War Museums (IWM) footage along with 600 hours of archived interviews with Great War veterans to make a gripping 99-minute film, but it is this 20 seconds or so that makes the most lasting impression. It’s as if those tired and fearful eyes are speaking directly to you, leaving you with the unanswerable question of what happened to this kid in that slaughter. Jackson, a New Zealander who directed The Lord of the Rings and The Hobbit trilogies, suggests the kid is simply fascinated by the novelty of the movie camera, that while he may have been to the cinema and seen a film or two, he had probably never seen how they’re made. Maybe so, but there is something more in that face, that look. You want to reach out and pull him from that hellhole. 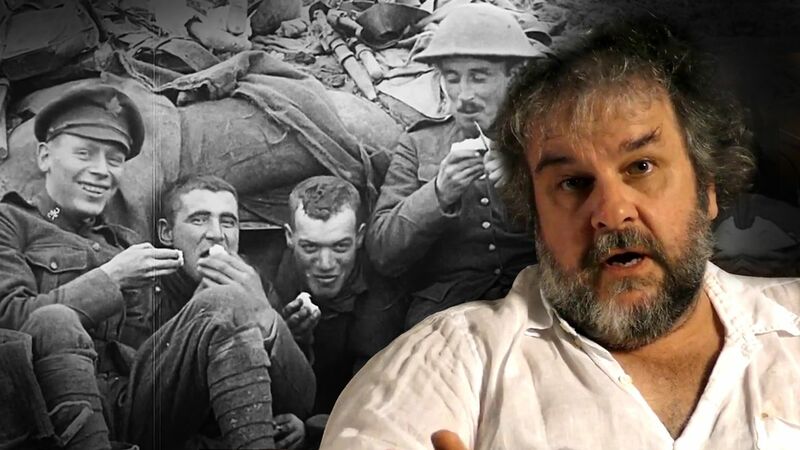 Peter Jackson, director of They Shall Not Grow Old. People, you can’t help but notice, with really bad teeth. 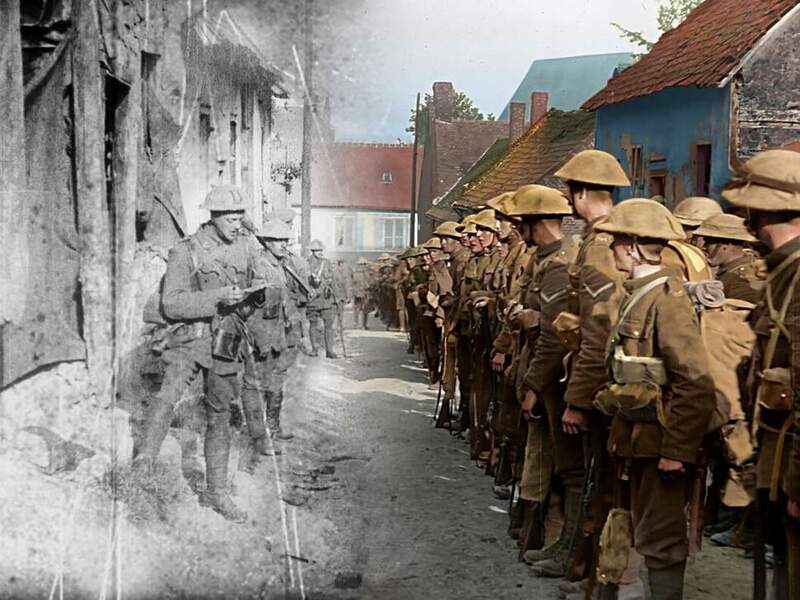 They Shall Not Grow Old is a seminal work, bringing modern technology to bear on old film as never before. Much of it came from second- or third-generation copies of silent footage, hand-cranked at anywhere from 10 to 18 frames a second instead of today’s standard 24. This is what gave the era that comical sped-up look. 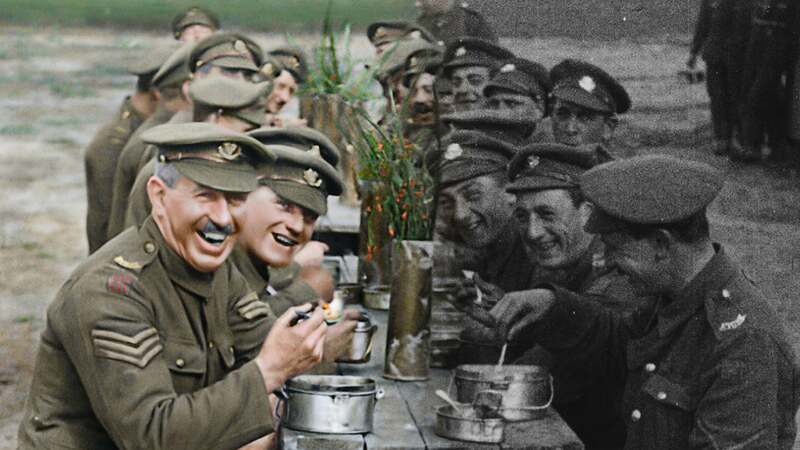 Commissioned for the Armistice centenary by the IWM and 14-18 NOW (a centenary project) in association with the BBC, Jackson narrowed his stockpile to 40 hours of footage, digitized it, restored it and slowed it to normal speed. Only later in the process did he decide to colourize it with the best rendering 21st-century technology and talent can muster. Film footage of the day was also predominantly static—the tripod-bound cameras didn’t move, and they shot wide. Today’s audiences are used to seeing more variety, including tighter, moving shots. So Jackson cropped some of the film and used the excess space to introduce camera movement, panning, zooming in or out, or shifting from face to face. He brought in forensic lip-readers to interpret what people in the footage were saying, then hired voice actors to dub in the sound, including the reading of a message to troops about to go into battle at the Somme. They weren’t just any actors: they were specific to the soldiers pictured, their accents regionally correct so if it was a Yorkshire regiment, the actors had Yorkshire accents, and so on. The 99-minute film brings the era to life as never before. Then there are the stories and observations of the veterans themselves. There is no narration, only the voices of those who fought as they recount in vivid detail the excitement of enlistment, the rigours of training and the harsh realities of life at the front. “These boots don’t fit me,” one recruit told the supply sergeant. They took water from steam engines and water-cooled machine guns to make their precious tea. They stole watches from German prisoners. And they made barricades from the bodies of German and Allied dead. The consensus among the British troops was that the Bavarians were good chaps; the Prussians weren’t. A surprising number of the enemy spoke English, the veterans said. One had been a waiter at the Savoy in London. An officer reads a message from headquarters to British troops before the Somme. Jackson, himself a noted collector of vintage war artifacts, found the message in an archive after a forensic lip-reader deciphered what the soldier was saying. The film is an intense, emotional experience, not for the faint of heart. 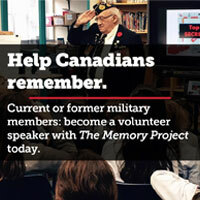 Those suffering from post-traumatic stress disorder may want to consider this before watching. Parts of the film are graphic, showing dead and wounded in ways that First World War casualties have rarely been seen, with descriptions to match. One veteran talks of encountering a mate with fresh wounds so devastating (he describes them in graphic detail) that he shot him to end his misery. They Shall Not Grow Old isn’t intended to be a comprehensive history of the First World War and doesn’t pretend to be anything more than it is—an account of what it was like to be in the trenches on the Western Front, delivered by those who were there, in words and pictures. They were British but they could have been Canadian, American, Australian or Kiwi. To attempt anything more or incorporate other accounts, said Jackson, would have diluted the impact. After its initial theatrical release in January, Warner Bros planned to open the film in 25 markets in February. Because it missed the Oct. 1 filing deadline, however, it was deemed ineligible for Academy Award consideration both this year and next. Boasting a 97 per cent approval rating on Rotten Tomatoes, They Shall Not Grow Old had grossed almost $8.3 million in the United States and Canada by Feb. 1, totalling nearly $10 million worldwide. It is slated for a Feb. 26 release on iTunes. The film’s title, They Shall Not Grow Old, is a reference to “They shall grow not old, as we that are left grow old” from the 1914 poem “For the Fallen” by Laurence Binyon.